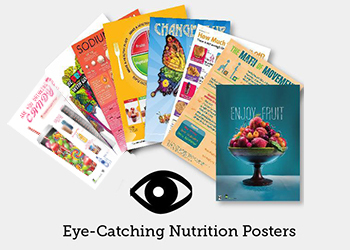 Because I love ya, I've created a brand-new printable handout for Nutrition Month 2016. I've even copied out the text below, so if you like what you see, scroll to the bottom and grab the PDF to distribute however you'd like! 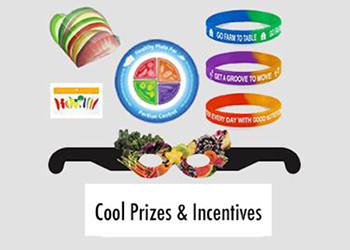 National Nutrition Month offers a special opportunity to teach vital health lessons, so let's not waste a moment! Nutrition Month 2016: Savor the flavor of eating right! 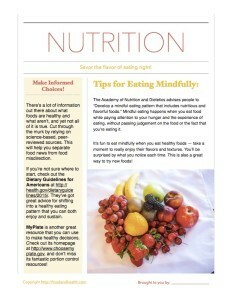 The Academy of Nutrition and Dietetics advises people to “Develop a mindful eating pattern that includes nutritious and flavorful foods.” Mindful eating happens when you eat food while paying attention to your hunger and the experience of eating, without passing judgement on the food or the fact that you’re eating it. It’s fun to eat mindfully when you eat healthy foods — take a moment to really enjoy their flavors and textures. You’ll be surprised by what you notice each time. This is also a great way to try new foods! There’s a lot of information out there about what foods are healthy and what aren’t, and yet not all of it is true. Cut through the murk by relying on science-based, peer-reviewed sources. This will help you separate food news from food misdirection. If you’re not sure where to start, check out the Dietary Guidelines for Americans at http://health.gov/dietaryguidelines/2015/. They’ve got great advice for shifting into a healthy eating pattern that you can both enjoy and sustain. MyPlate is another great resource that you can use to make healthy decisions. 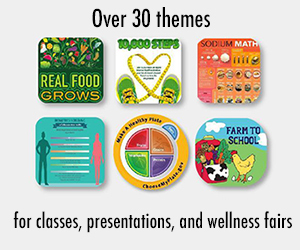 Check out its homepage at http://www.choosemyplate.gov, and don’t miss its fantastic portion control resources! 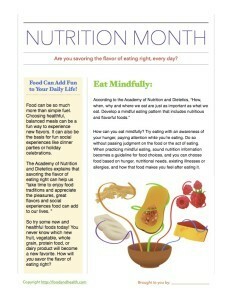 Did you like this Nutrition Month handout? Here's a free PDF copy that you can get today! 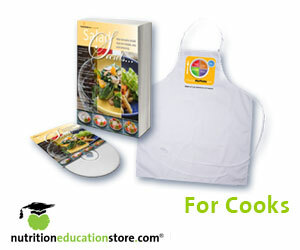 It's a great nutrition education resource. Members get even more! 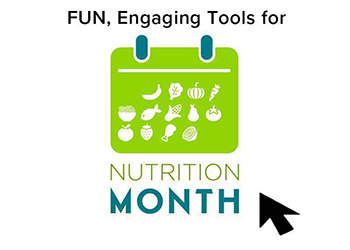 Don't miss the post Nutrition Month Resource Rundown, which features the latest blog posts, handouts, and other educational materials for Nutrition Month. 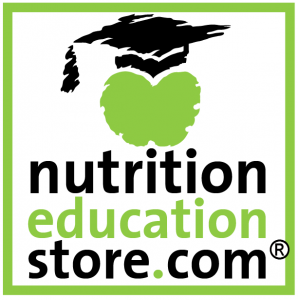 There are lots of other amazing Nutrition Month resources in the Nutrition Education Store! Remember, we're here to help you look your very best, right now!